It was barely 10am in the morning but, at 3,500 meters, the sun’s rays were descending very aggressively. I had just reached the Rakaposhi base camp, from where I decided to climb slightly further, 300m towards to the peak, aiming to see who or what was around me. Nothing, there was absolutely nothing apart from glaciers composed of 20m high ice blocks. I was completely alone in that sublime silence, only interrupted by the sound of the breaking glaciers and the non-stop avalanches. Welcome to Rakaposhi base camp. 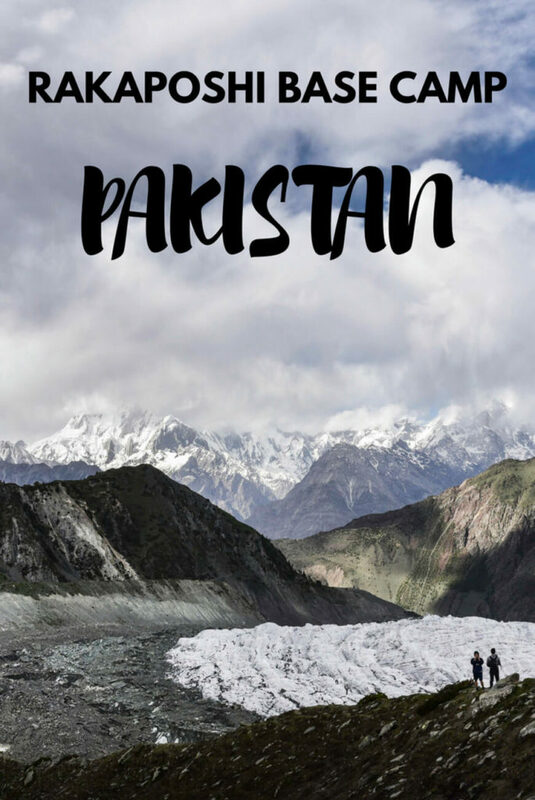 The Rakaposhi mountain, a 7,800-meter-high peak, is the highest mountain and, probably, the most iconic from the Karakoram range which can be visible from the Karakoram Highway. It’s located in the Nagar Valley, in the north of Pakistan, and in the local language it means ”shiny wall”. 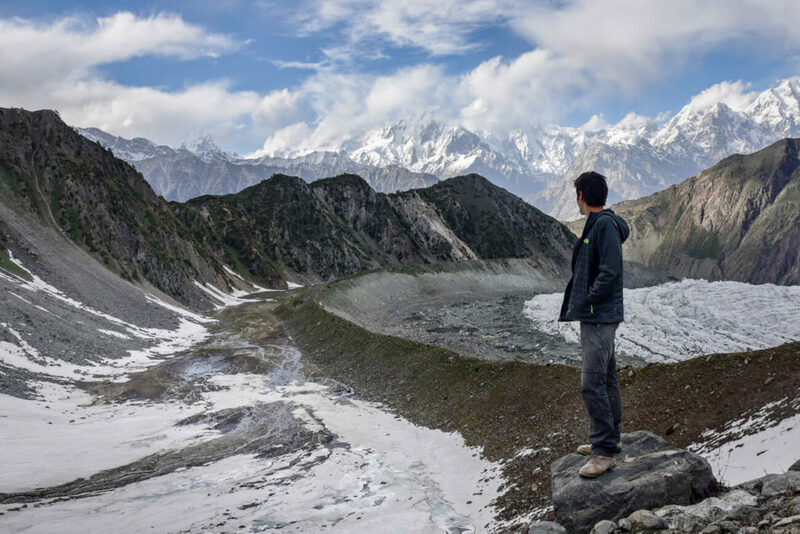 The Rakaposhi peak is the 27th highest mountain on Earth but considered one of the most beautiful ones. From a kilometric glacier with 30km deep crevasses to a base camp from where you see endless peaks belonging to the Karakoram range, going to the Rakaposhi base camp was, definitely, one of the highlights of my trip to Pakistan; and not only for being such a stunning place, as impressive as Fairy Meadows and the Nanga Parbat, but also, because I could enjoy those mountains practically by myself, which means that this is a real off the beaten track place in Pakistan. 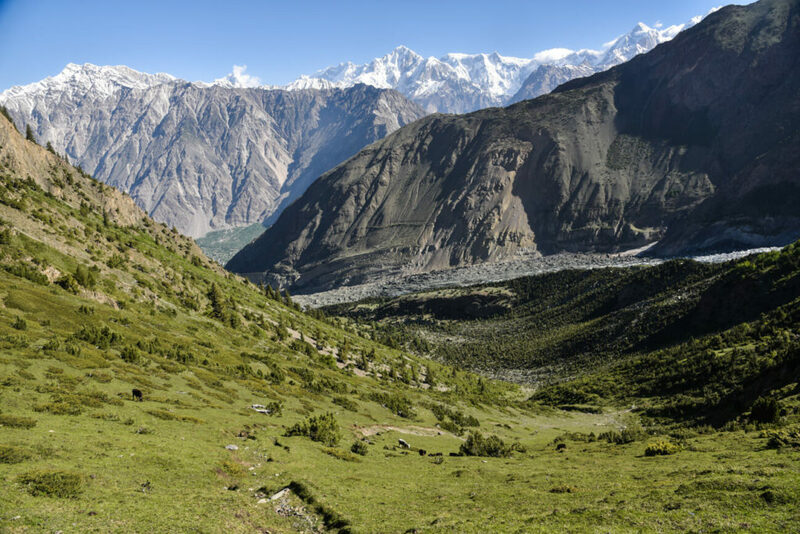 If you are in a good shape, you could easily complete the Rakaposhi base camp trek in only 2 days. However, if you really want to enjoy it, including visiting a glacier and Diran base camp, I recommend doing it over 3 or 4 days. 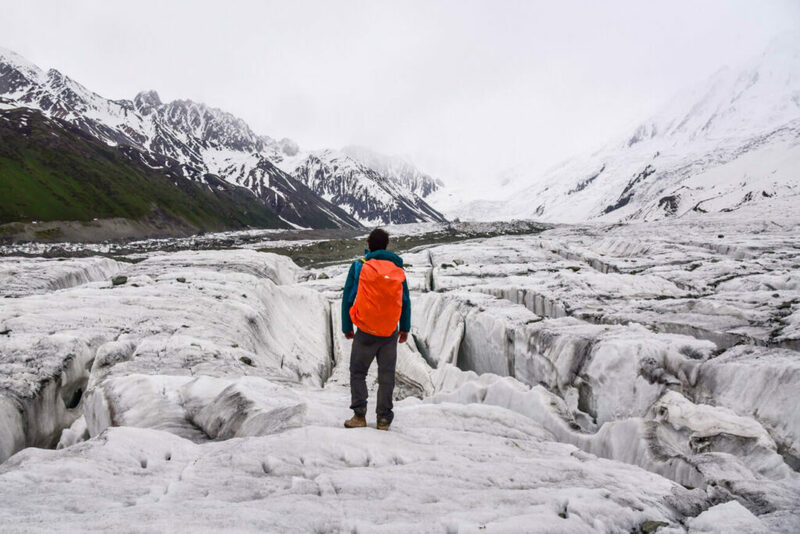 70km from Gilgit, after a 2km detour from the Karakoram Highway, you find Minapin, a small, cozy village and the starting point for both Rakaposhi and Diran base camps. 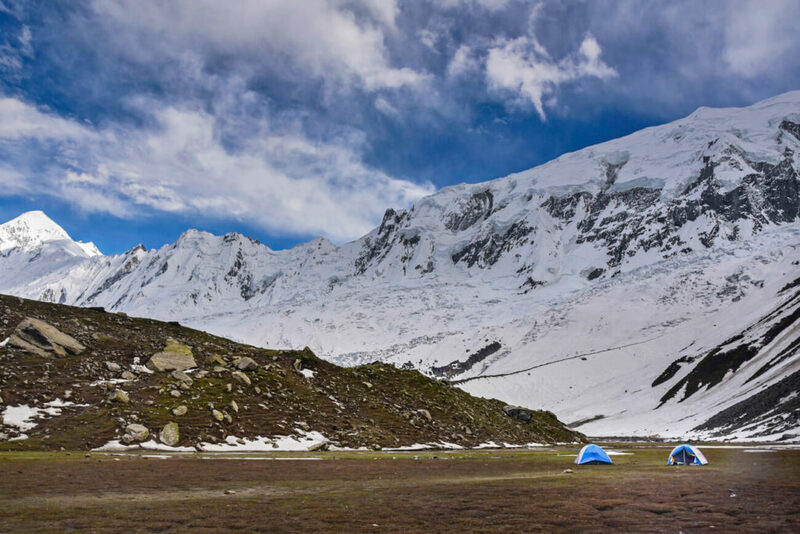 Hakapun is a small campsite located between Minapin and the Rakaposhi base camp, the perfect place to spend the first night and from where you can go to Diran glacier. Going to Hakapun takes around 4 or 5 hours and the trail is very easy to follow, except for the last few kilometers, as they are a bit confusing. However, you are likely to find shepherds who will tell you the way to follow. From the camp, you can visit Diran glacier, an impressive, vast sea of ice, composed of ice blocks of nearly 20m. 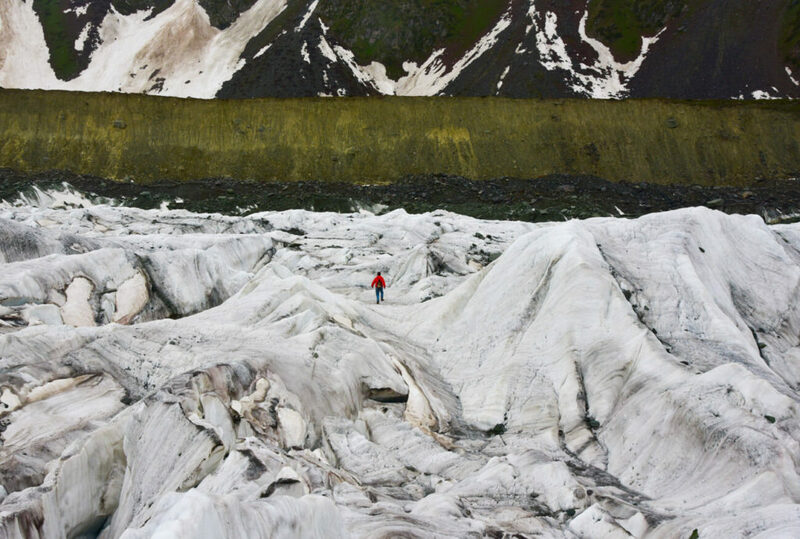 At this point, you can’t cross or walk over the glacier but you can get so close that you can even touch it. In summer, the racket from the breaking ice is constant. Where to stay in Minapin – Hotel Osho Thang – The best budget hotel in Gilgit-Baltistan. It has a relatively cheap restaurant, where even local politicians go. The owner speaks good English and is very kind. If you go there in spring, the garden is filled with cherry trees. It has both private rooms and dorms. The base is camp is just 4 or 5 kilometers from Hakapun but the trail is so steep that it might take you around 3 or 4 hours to reach it. I advise you start walking early, as the sun’s rays are quite lethal from very early in the morning. 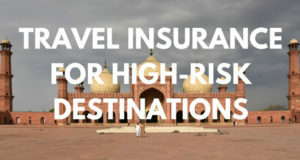 In Pakistan, the sunrise is at 5am, at least in spring. The Rakaposhi base camp is one of the most epic camping spots I have ever been to. If you climb any of the surrounding hills, you will get an amazing 360º view which will keep you busy the entire day. 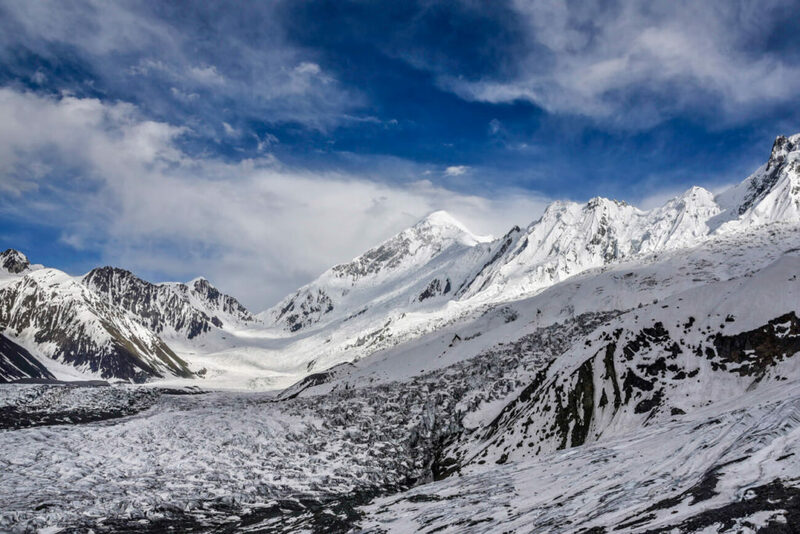 If you have time, I recommend you spend the third day trekking to Diran base camp, a 7,200-meter-high peak, whose base camp is right across the glacier, which means that, if you want to reach it, you will have to walk over it, jumping over 30m deep crevasses (deep crack in a glacier). Quite an adventure. By the way, unlike the part of the glacier next to Hakapun, here you can walk over it. 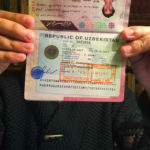 Round trip to Diran base camp took me almost 5 hours. I started walking at 5am in the morning, came back to the Rakaposhi base camp around 10am and, from there, I walked straight back to Minapin. Doing it in one day is possible but it took me 12 hours to reach Minapin, with breaks included. 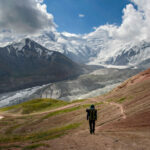 The Rakaposhi trek is relatively easy, even for inexperienced trekkers. You don’t need a guide. 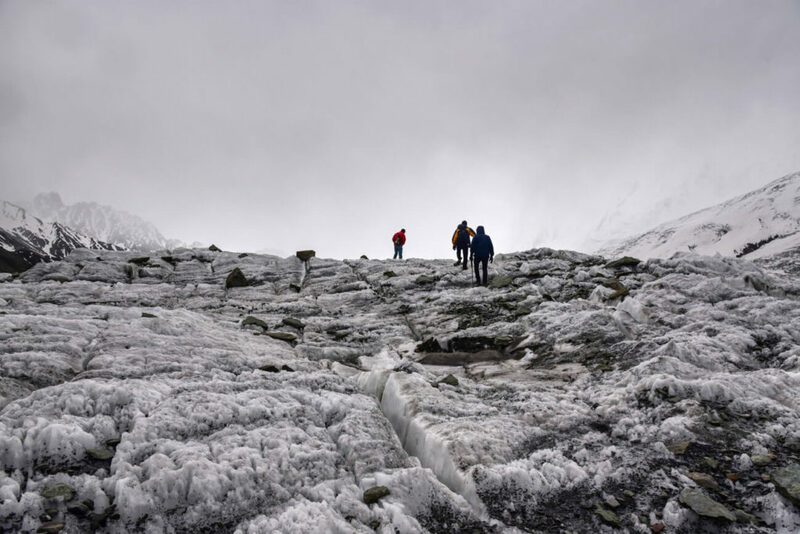 However, crossing the glacier that takes you to Diran base camp is really dangerous as, like I said, the glacier is composed of crevasses 30m deep. Falling and remaining forgotten in one of those holes is lethal. For this reason, it’s not recommended to go alone, unless you have plenty of experience in crossing glaciers. I don’t have experience plus I didn’t wear the proper shoes. This trek can only be done from mid-May to September. I did it during the last week of May, when days were pretty hot whereas nights significantly cold. On the third day, it rained non-stop. The glacier was quite tall but it was easy to climb. If you come in summer, it may be more slippery. 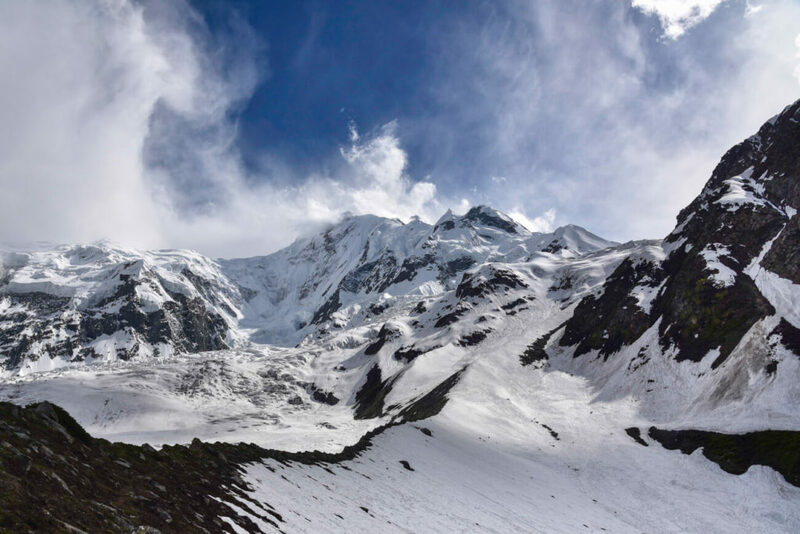 Rakaposhi is famous for its avalanches, these being more frequent in summer. At the base camp, you will be safe but you can hear and see them constantly. Both at Hakapun and Rakaposhi base camp, there is a shepherd’s hut inhabited by two locals who offer food and camping gear to the few trekkers who come to Rakaposhi. 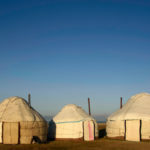 You can borrow a tent and a sleeping bag from them, besides offering you 3 meals a day which, with all my honesty, they prepare with so much love. 3 meals a day plus tent and sleeping bag cost $15 a day. It is the same people working at both camps and you will see that they keep moving from one camp to the other with their donkeys constantly. 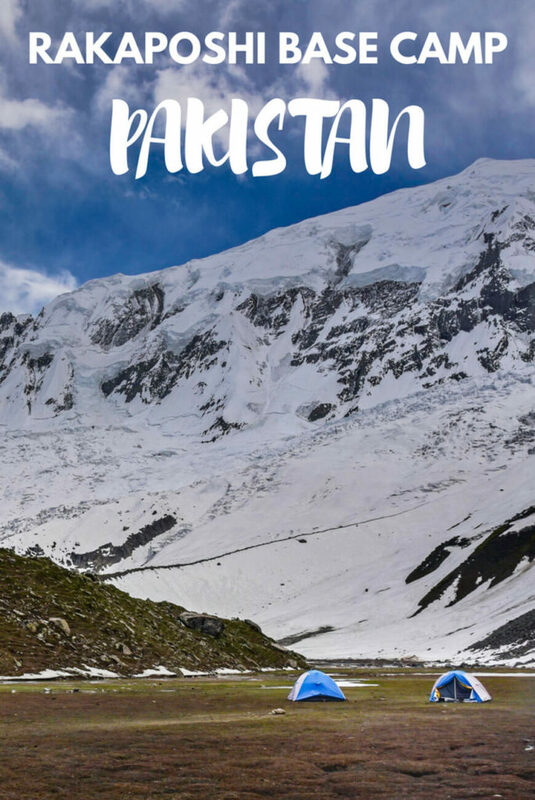 Unfortunately, since not many people visitRakaposhi, they told me that spending the whole summer there is not worth it but I hope that, after publishing this article, more people will do this trek. Ask at Hotel Osho Thang if they are still there. 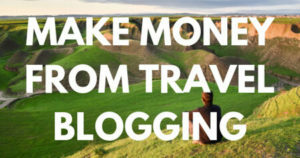 Otherwise, you must bring your own food and camping gear. Hey Lucas! That’s great man and I am going to update it accordingly! Sorry if the information was wrong then. 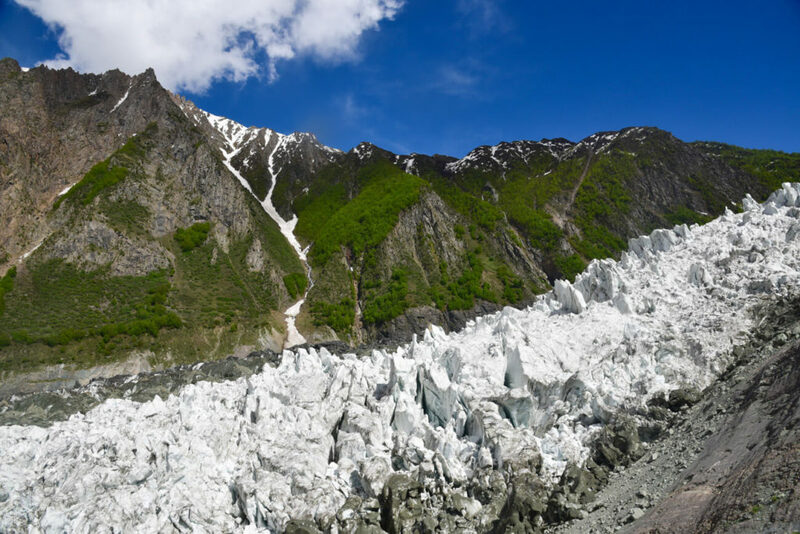 I actually went to Minapin from Diran base camp in a little more than half a day, including going over the glacier in the month of May, when the ice was higher, but I was going down all the time, so I didn’t think could do the round trip in one day. Anyways. If you have the time, I recommend staying there overnight to enjoy the landscape but it is good to know that people who are short in time or whatever reason is, can do it in a day. Amazing, thank you for the update and glad you liked it! I was there around mid July this year .It was amazing experience and I really love this trek .